Stretch a string between two points, and you get a straight line. Walk one end of the string around the other and you get a circle. These two shapes, circles and lines, form some of the basic shapes of geometry. While early astronomy focused on the marking of time, such as when the rising Sun would be most northerly, or the number of days until the crescent Moon returned, the simple geometry of curves gave us a connection to the heavens. The Sun, Moon, and even the stars seemed to trace circles around the Earth. Likewise, a dropped ball traced a linear path to the ground, and fire seemed to rise linearly upward. The geometry of circles and lines was nothing less than the sacred geometry of Heaven and Earth. You can always draw a straight line segment between two points. For any line segment you and draw a circle where the line segment is the radius and one end is the center. If two lines aren’t parallel, they will eventually cross if you extend them far enough. From these axioms he developed a formal method of proofs and theorems (elements), showing that if these initial axioms are true, then other aspects of geometry must also be true. Euclid gave us the language of geometry, and by extension the language of much of modern mathematics. This geometric language could then be used to describe the motion of heavenly bodies. If you wanted to know when Mars and Jupiter would appear close in the sky, or when Venus would appear as the morning star, you could calculate it with geometry. That same geometry also gave us tools to measure heavenly motions more accurately. We could triangulate the positions of planets against the stars, and calculate their true paths about the Earth. It soon became clear that planets did not move in circles. Lines and circles were so incredibly useful that many proposed solutions still focused on them. Perhaps a planet’s motion about the Earth was circular, but not centered on Earth. Perhaps it was a combination of circles (epicycles) on top of other circles to trace out a planet’s path. Perhaps the planets move in circles about the Sun rather than the Earth. All of these improved upon the simple model of circular motion about the Earth, but they were always just a bit off from the true motion of the planets. The solution came from Johannes Kepler, who proposed not circular orbits about the Sun, but elliptical ones. 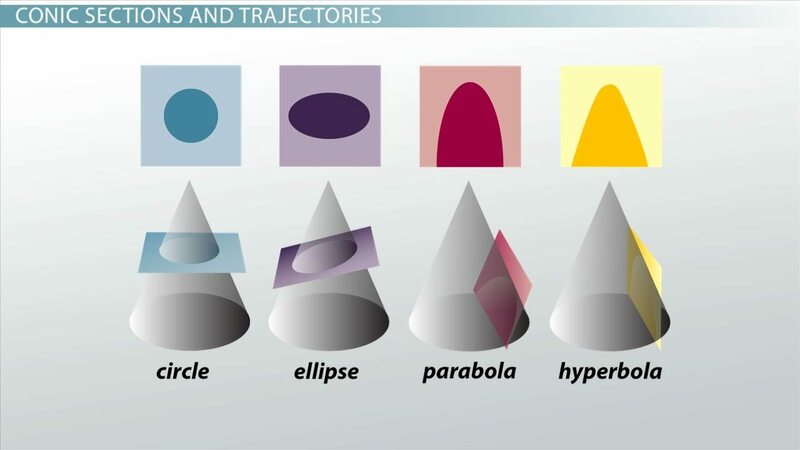 Conic sections as slices of a cone. An ellipse is part of a family of curves known as conic sections. If you take a line segment and trace one end about a circle, the line traces out a cone. 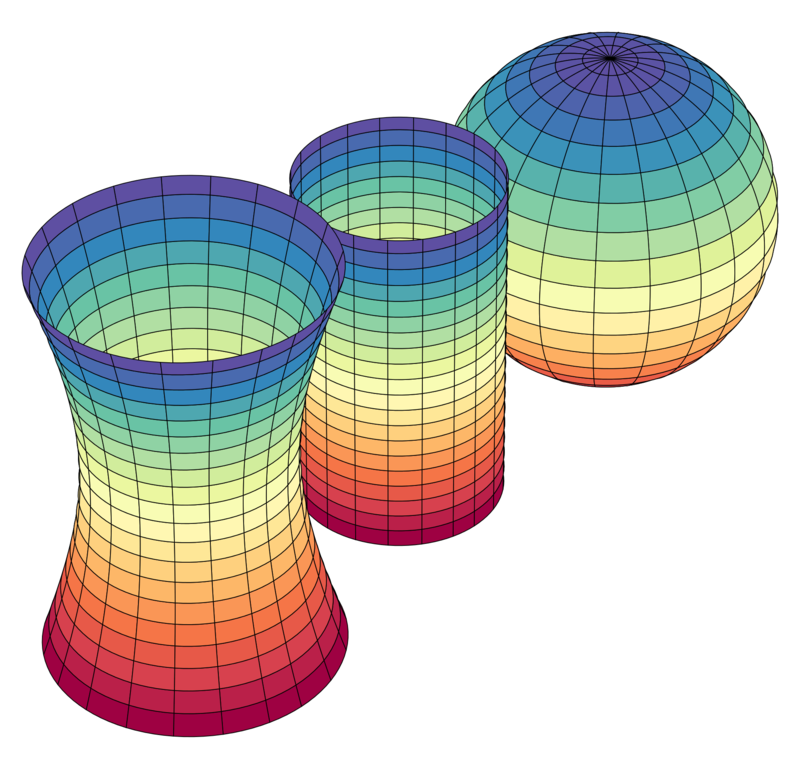 If you then slice the cone with a plane, you can form four different types of curves. Straight through, and you get a circle. At an angle, and you get an ellipse. Parallel to the edge of the cone and you get a parabola. Steeper than the edge of the cone and you get a hyperbola. In this way a circle is just a special case of a larger geometric family. By generalizing circles to ellipses, Kepler devised a set of three basic rules for planetary motion that came to be known as Kepler’s laws. They were extremely accurate, and were much simpler than offset circles and epicycles. Each point in space has a unique coordinate. Around the same time as Kepler, René Descartes was developing a new approach to geometry. Although our understanding of geometric forms had improved over the centuries, geometry still followed the methods of Euclid. 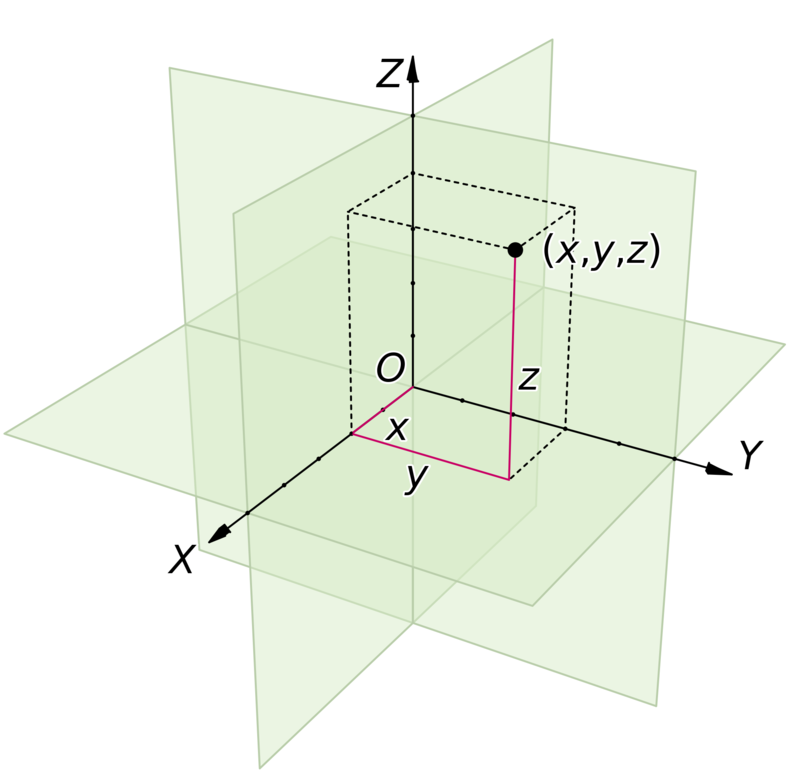 Imagine a line bisecting a circle, envision a sphere enclosed by a cube. Geometry was about lines, curves and shapes in relation to each other, and this could be complicated. Kepler’s second law for example, imagined a line connecting a planet to the Sun to sweep out an equal amount of area for equal amounts of time. Descartes imagined that space could be filled with a grid as a reference frame. In this way, each point in space can be represented by a unique set of numbers (coordinates), and a curve can be represented as a function related one coordinate to others. With this analytic geometry, Descartes connected geometry to algebra, giving us even more tools to describe curves and forms. Newton’s geometry of space and time is still used in introductory physics classes. Analytic geometry also allowed us to look at motion not just as a path through space, but also as a path through time. Each position in space has three coordinate numbers marking its location, and by adding a fourth coordinate representing time we can create a geometry of where and when. When Isaac Newton developed his laws of motion, he described motion in terms of speed and acceleration. Using analytical geometry he could connect these functions of time to curves in space, tracing an object’s path through space and time. This same approach also allowed Newton to prove that Kepler’s laws of motion were the result of a universal force of gravitational attraction, ushering in the age of astrophysics. The Euclidian geometry of space and time was so powerful that it’s validity seemed unquestionable. What else could the cosmos be if not an extent of space existing in time? Combined with the accuracy of Newtonian physics, it felt as if we’d reached the pinnacle of understanding. But in the 1800s Bernhard Riemann began to explore alternatives to Euclidian geometry. The coordinates of Descartes were a way of mapping out Euclid’s geometric space, but what if the relations between these coordinates could be distorted. We might imagine a Euclidian surface as a sheet of paper marked with a grid. 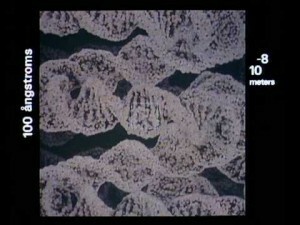 If the sheet were made of rubber, stretching or bending the sheet would distort the shape of the grid. Some rules of geometry would still apply on the sheet, but not necessarily the five axioms of Euclid. Just as circles are just one example of a conic section, Euclid’s geometry is just one member of a much larger geometric family. Riemannian manifolds come in a variety of shapes. This gave rise to a more general form of geometry known as Riemannian geometry, where space could be a malleable manifold rather than a rigid background. The connections between points in space are determined by the structure of the manifold, and the old rules of Euclid can be stretched or even broken. Two circles of the same circumference might have different lengths radii. Parallel lines might eventually cross. Two right angles might not be the same when compared to each other. Just as Descartes connected geometry to algebra, Riemann connected geometry to topology. Geometry was no longer limited to a fixed background grid. But surely none of this applied to the Universe at large. Sheets of paper and rubber balls can be distorted into different shapes, but space is not a physical material. Surely it must be rigid and absolute. Surely space and time must be Euclidian. But it’s important to note that Euclid’s axioms were assumptions. They seem intuitively true for space and time, but assumptions can be wrong. One of the big assumptions about time in the Universe, was that it’s the same everywhere. If we sync two clocks, they should always read the same time even if they are speeding on a starship or light years away. But if space time were the absolute grid against which everything is measured, then the speed of an object must always be relative to that grid, even the speed of light. 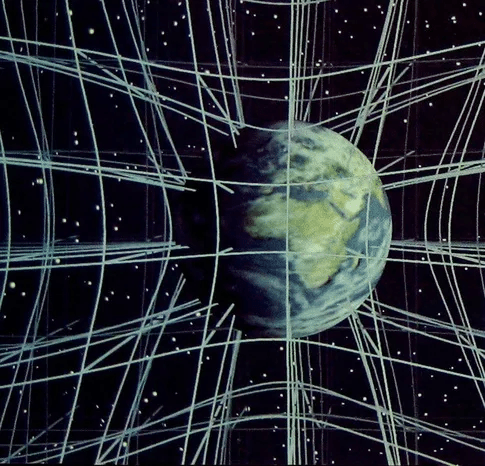 If you were speeding along relative to the cosmic spacetime grid, you would measure a different speed for light than if you were standing still. But it turns out space and time aren’t absolute frames, light is. Light forms a geometric connection between space and time, and the geometric rule that connects space and time is that its speed will always be a universal constant. This is the insight Albert Einstein brought to physics. Riemann was right. The key to geometry is how a manifold is topologically connected. For our Universe, light is the connection, and space and time distort in whatever way necessary to preserve that connection. It is the general relativity of space and time. The geometry of space is not Euclidian. Perhaps the most amazing aspect of Einstein’s theory is that gravity — the force that causes the planets to trace their elliptical geometry around the Sun — is itself simply a consequence of geometry. The distortions of space and time mean that objects don’t always move in a straight line. Their path can be distorted, making it look like they are being pulled by a gravitational force. Newton’s law of gravity was an intellectual triumph, but it also represented an incomplete understanding of geometry. Our Universe does have a sacred geometry after all. It’s not the fixed geometry of a rigid and invisible grid, but the luminous geometry of light. 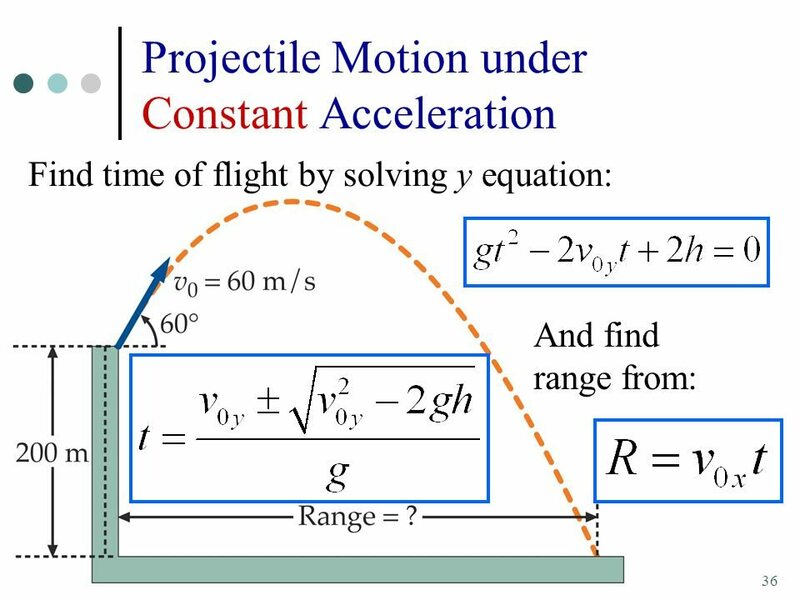 Next Time: Newton’s laws of motion brought vectors to physics. These mathematical arrows pointed us to a subtle property of nature leading to revolutionary new understanding of light. Nice , more clearly understood . Thanks. I would like to read more. So where can I find your book.? The only book I’ve done is a textbook, which is very different from this blog. Nice verse, only a matter of consequence. Sacred Geometry. A most appropriate title to a very intriguing subject. Thank you. Very well explained!!! I’m looking forward to the next episode about math and its connection with reality. Is this bait for the people that claim ‘Sacred Geometry’ can be used to connect our spirit energies to crystals to improve our mood? Because I know somehow that is into ‘sacred geometry,’ and they simply look at pretty shapes and declare deep significance without knowing any actual geometry. No, it’s just that I use culturally popular phrases as titles.